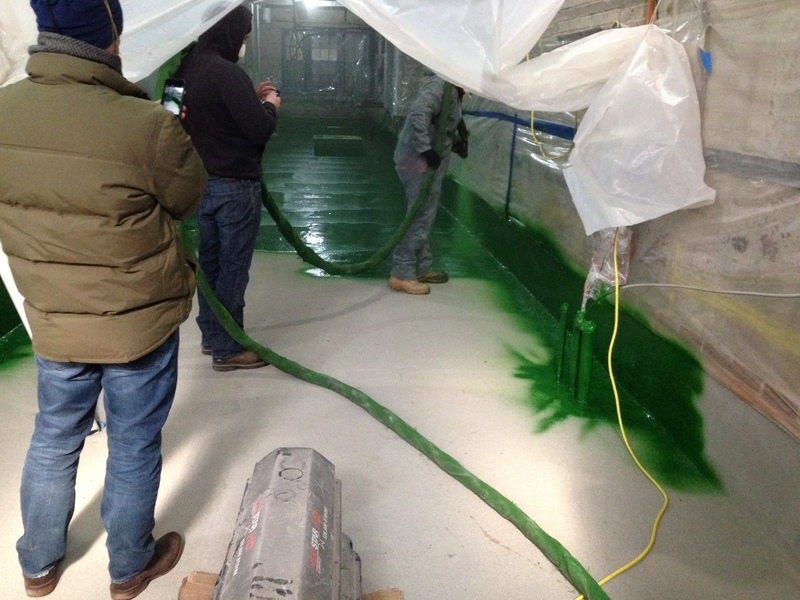 March, 2015 | TQ3 North America Inc.
As the north – east continues to experience extreme cold weather and the waterproofing business generally shuts down, our Technical Services division has been busy helping clients and contractors get projects completed. 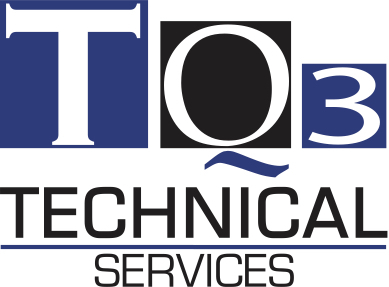 TQ3 Technical Services was established to provide equipment and technical support to ensure the smooth and continuous running of the complex spray equipment needed to apply our range of hybrid membranes. A unique service that is welcomed by our network of licensed installers. 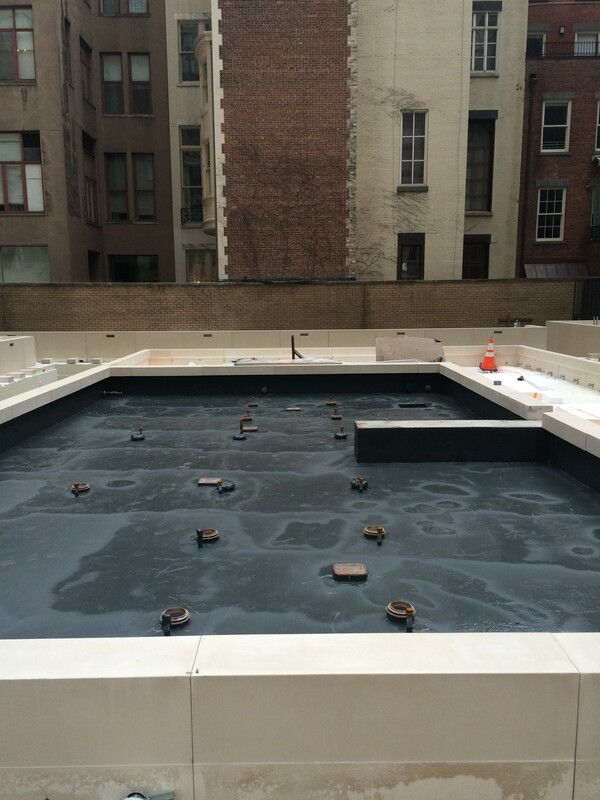 TQ3’s spray applied, odor free waterproofing and chemical resistant membrane was chose to protect an oil containment area on the upper east side of Manhattan. A challenging application due to continuous moisture ingress in the basement TQ3’s GC Primer was selected because of it’s moisture tolerance in damp conditions. 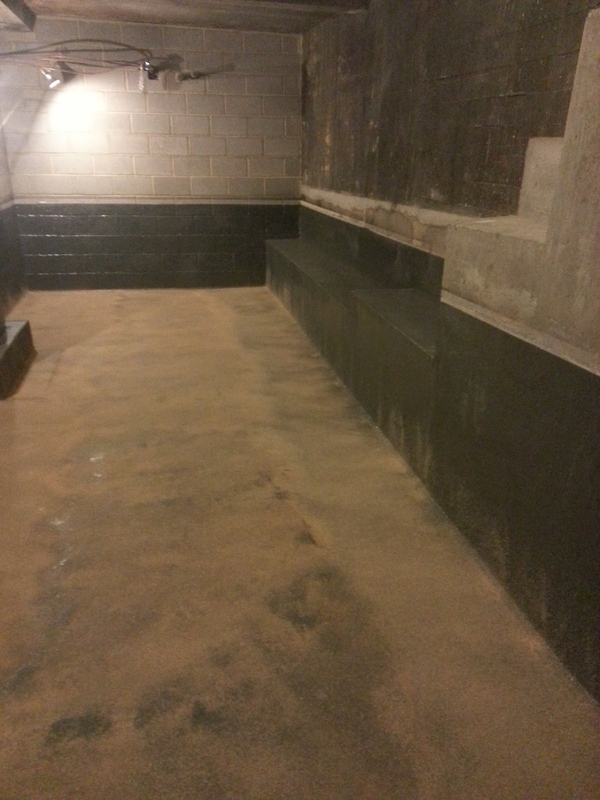 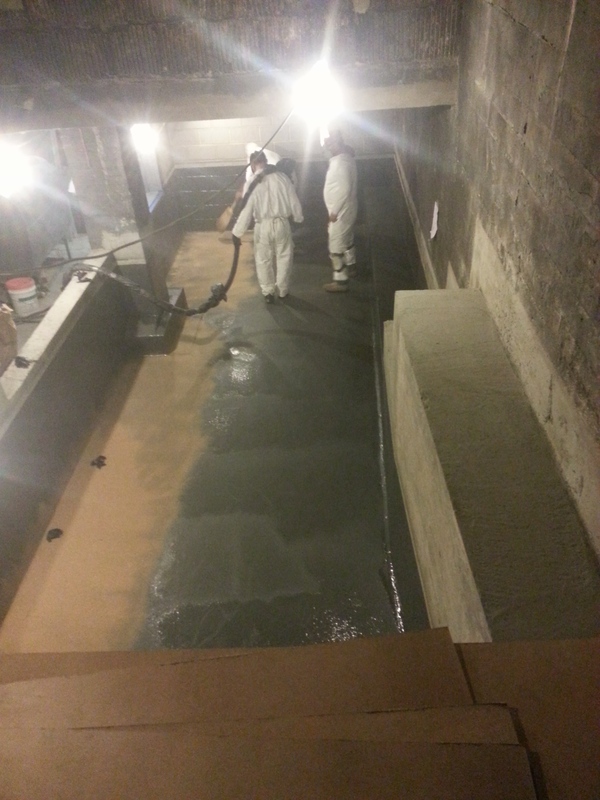 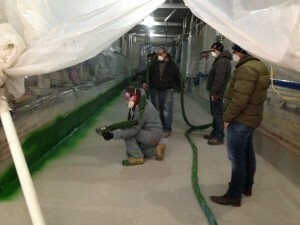 The entire area was then coated with FX 400 membrane – ready for use the same day. Prodeq was installed at a residential development on New York’s prestigious Park Ave. Prodeq was chosen by Architects Gilsanz Murray Steficek because of it’s speed of application and ability to deal with difficult and multiple penetrations . 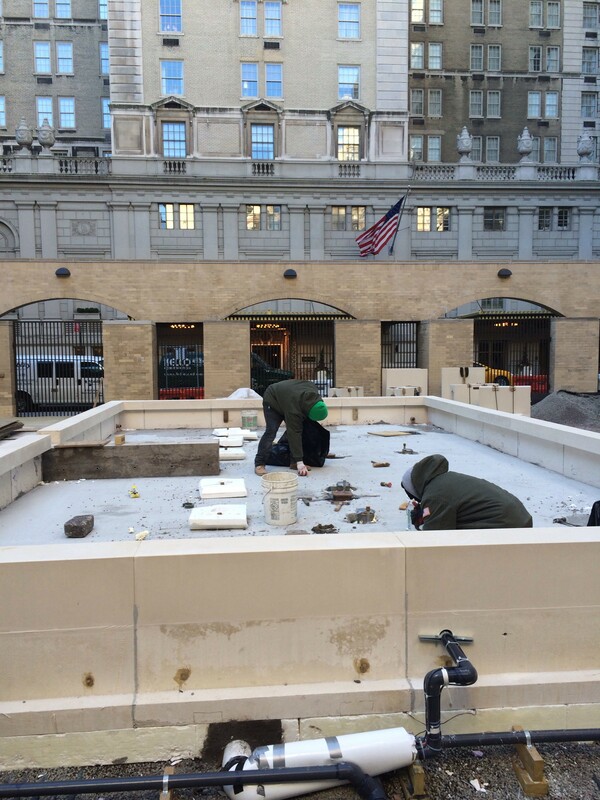 The system was applied when temperature outside were at record lows, around 0˚ F ! 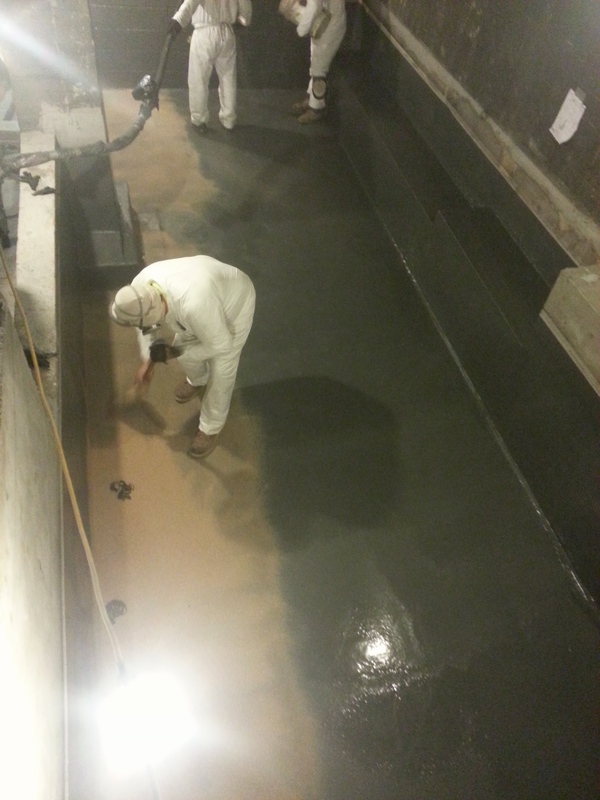 The project was completed in a single visit to site and licensed installer Skyline Restoration were able to complete the project on schedule despite the poor weather. 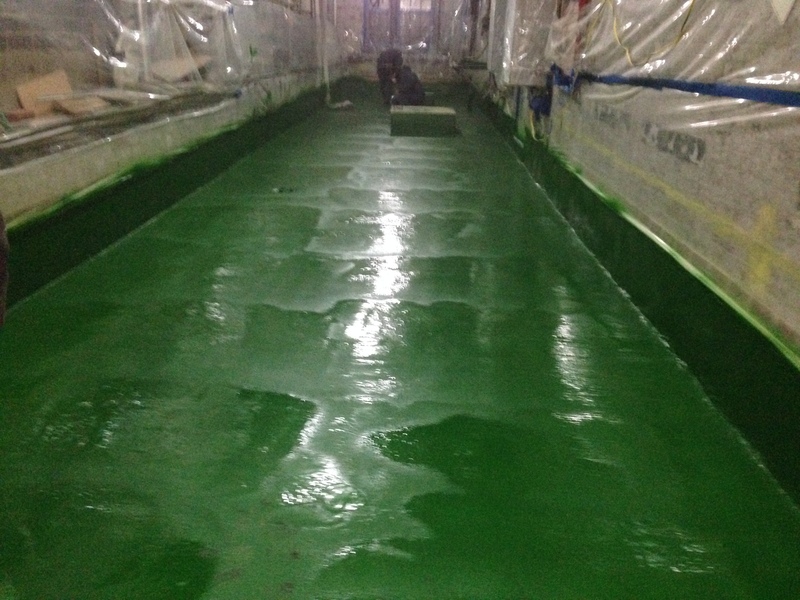 An electronic leak detection test was carried out a couple of days later and the Prodeq installation passed with flying colors. 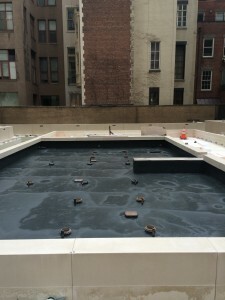 This entry was posted in February 2015 on March 11, 2015 by .